Let’s be honest – Facebook advertising can get expensive. However, the hard work and costly investment could very well payout big time. It’s all about putting your information in front of the audience who needs to see it, garnering their attention, and convincing them to buy. Easier said than done. Not to fear, many companies who have had great success with Facebook ads have offered Facebook advertising tips that they feel work best – and we are one of them. 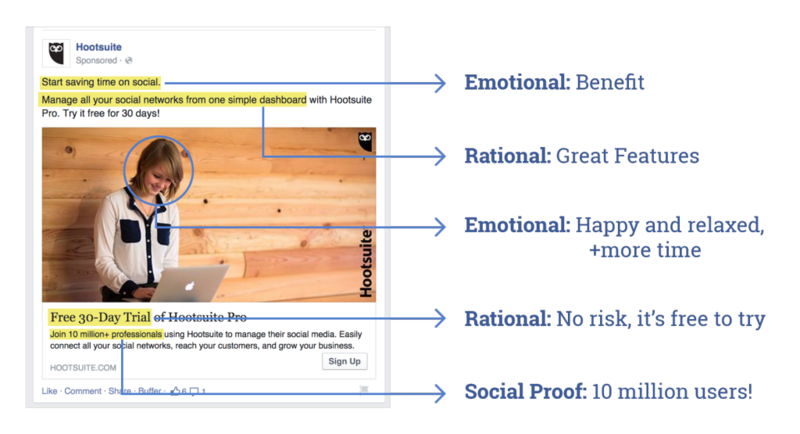 Follow these tips when designing and implementing your next Facebook ad and you won’t waste a dime or any of your time. If you’re responsible for creating Facebook ads for your company, hopefully you’ve had a job in sales or retail before. Why? Because one should never forget that at the end of the day, you are selling something. It all comes down to money in the bank. Clicks and engagement are great (and if that’s all you’re responsible for creating then more power to you), but nothing talks more than make the defining sale. When selling something, especially through a near completely impersonal platform like Facebook, always remember that your customers and average browsers make every buying decision based on their emotion. Every single one of your customers is only listening to their favorite radio station, WIIFM. What is WIIFM? It’s an acronym – What’s In It For Me? What you’re advertising on Facebook should try to fill an emotional need that the customer has. This is why a Facebook ad saying “50% OFF SWEATERS!! !” doesn’t perform as well as on that advertises, “For every shirt you buy for our shelter, we will feed seven hungry dogs.” Insert a photo of an adorable puppy here. One of the most power tools every advertiser on Facebook has are the Facebook Insights associated with the company and page. Take advantage of these – it basically offers the ability for one to gain valuable information about an audience before taking the risk on investing your budget. At all possible attempts try and avoid taking a shot in the dark. After all, you’ve spent a lot of time and money designing and filling a budget for your ads. You’re going to want to make sure your perfect call-to-action doesn’t fall on deaf ears. These are just some of the useful pieces of information Facebook offers their customers. Make sure you take advantage of it and target your ads accordingly. There’s a reason why social media marketing and advertising is on the rise for image-sharing channels such as Facebook, Instagram and Snapchat – it’s about the images. Many advertisers, especially on Facebook, often think that clever ad copy and witty humor will make them the sale, but words are seldom what get our attention. A striking, attractive image gets the viewer’s attention and gets them to read the copy. Don’t forget – Facebook is a social media platform that people mostly use to keep in touch with family and friends, not to buy things from promoted advertisements. 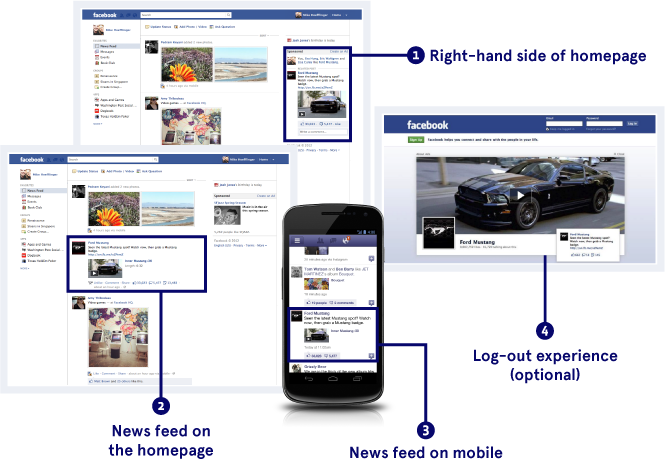 When we advertise on Facebook, we interrupt the user’s browsing of family, friends and interests. A good and successful ad on Facebook goes nearly undetected as being an ad, and simply looks just as interesting and engaging as their best friends latest video of their newborn baby giggling. An adorable puppy, attractively happy model, or striking landscape catches the eye and gets them to read – that’s what you ultimately want. A good landing page educates the user about where they are and what they should do before they buy. It can offer free materials such as an e-book, newsletter, free trials, coupons, and other promotional information. The landing page from an ad can literally make or break your sale, so make sure it’s as worthwhile as your ad. It may seem kind of arduous at this point, but nonetheless it’s imperative to set clear goals that are easily achievable. It’s surprising how many people actually skip this crucial step, and that’s why, rather than leave it off our list of Facebook advertising tips, we decided to add it in. First and foremost, setting goals with an ad is essential because it give you something to physically measure and an opportunity to find out if your ad really works. Now, most people already know to do this and will set goals such as, “I want to sell 10,000 units in the next 12 months.” But if that’s all your setting, you may want to dig deeper. Rather than set one overarching goal, consider breaking it up into a quarterly, monthly, weekly, and even daily goal. Let’s say you want to sell 10,000 units over the next 12 months. That would be a goal of 2,500 units every quarter, roughly 830 units a month, 210 units a week, and an average of 30 units a day, or about one every hour.